As much as I’m focused on reaching my weight loss and fitness goals, my love for food would never go away. I’m the type of person who would try new things and venture out to new restaurants that I always wanted to try. As an Asian person, I love going to my fave Asian restaurants – Filipino, Thai, Chinese, Japanese, Vietnamese – and order my “comfort foods” like Kare-Kare (a Filipino beef stew), Pad Thai, pho and sushi. After losing over 20 lbs., my tastes have changed to something more health conscious and organic. Plus, I didn’t want to fall back into old dining habits. 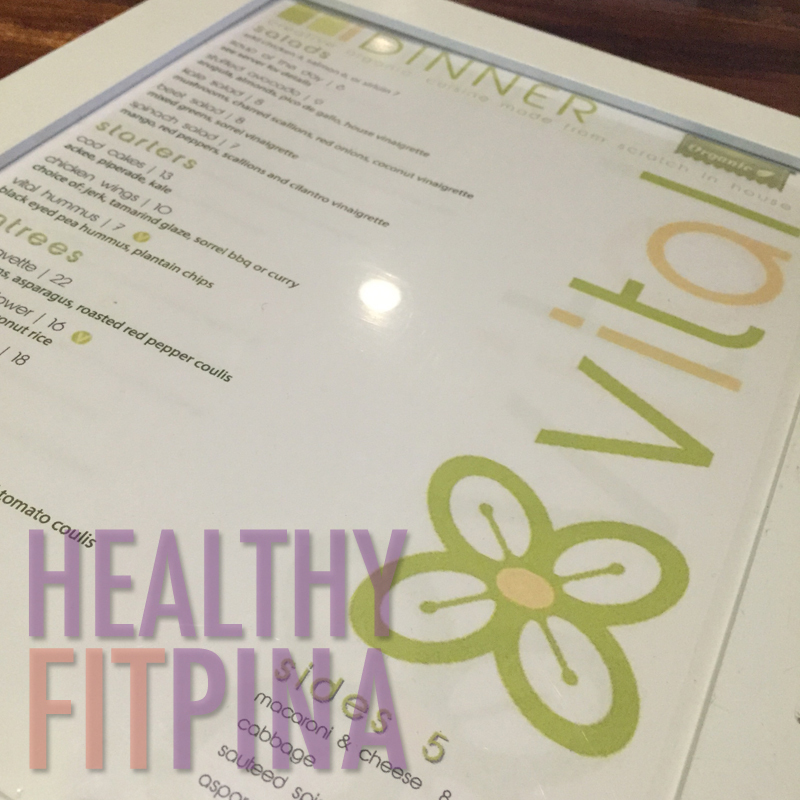 This week, I didn’t have time to prepare my meals so I decided to meet up with a friend for dinner at this place in Montclair, NJ called Vital Restaurant & Juice Bar (www.vitaldining.com). 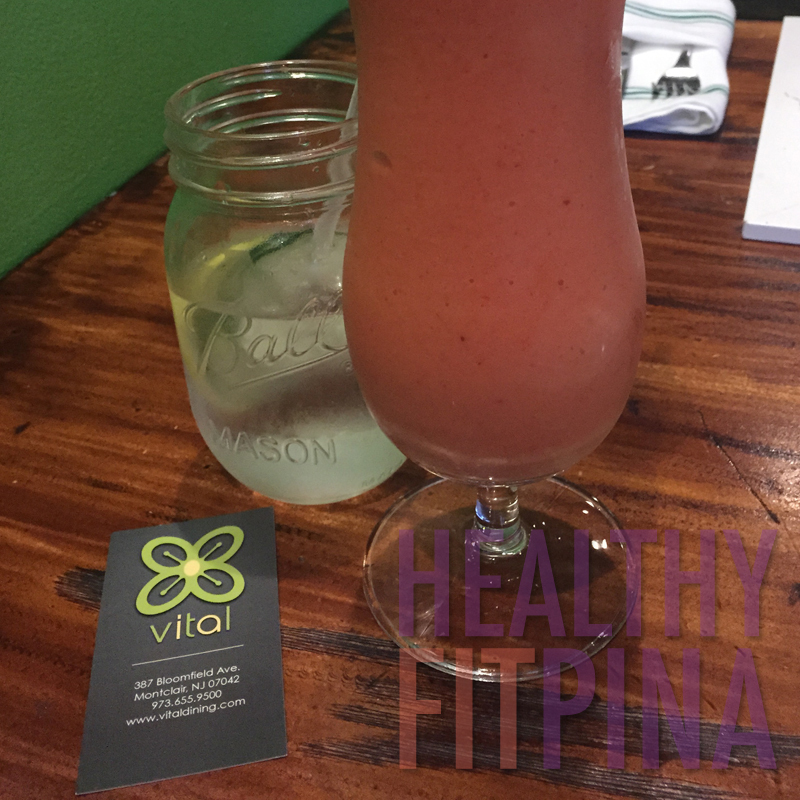 Vital just opened up last year and the restaurant serves healthy and organic dishes with a Caribbean twist. The restaurant have many different dietary options for vegans, vegetarians and meat-eaters to enjoy. I just heard about this place a couple of days ago after searching for healthy restaurants through Yelp. After just one visit, I definitely saw why Vital received wonderful reviews. Next time I visit (and it’s very soon! ), I want to try some of the vegan dishes. Here are just some of the dishes that we ordered. The Passion smoothie is one of their popular smoothies in the menu. Very refreshing, especially on a hot day. 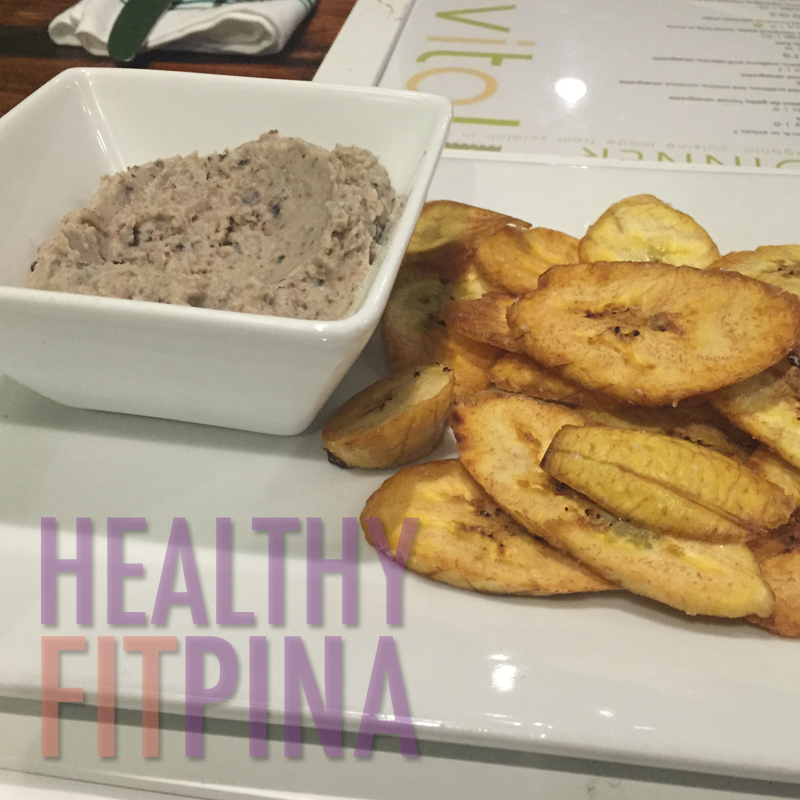 The Vital Hummus – Black eyed pea hummus, hemp and lightly fried plantain chips. I would usually have black eyed peas with white rice, but this unique appetizer is vegan and low carb. The chips are lightly fried and just cooked on the premises. 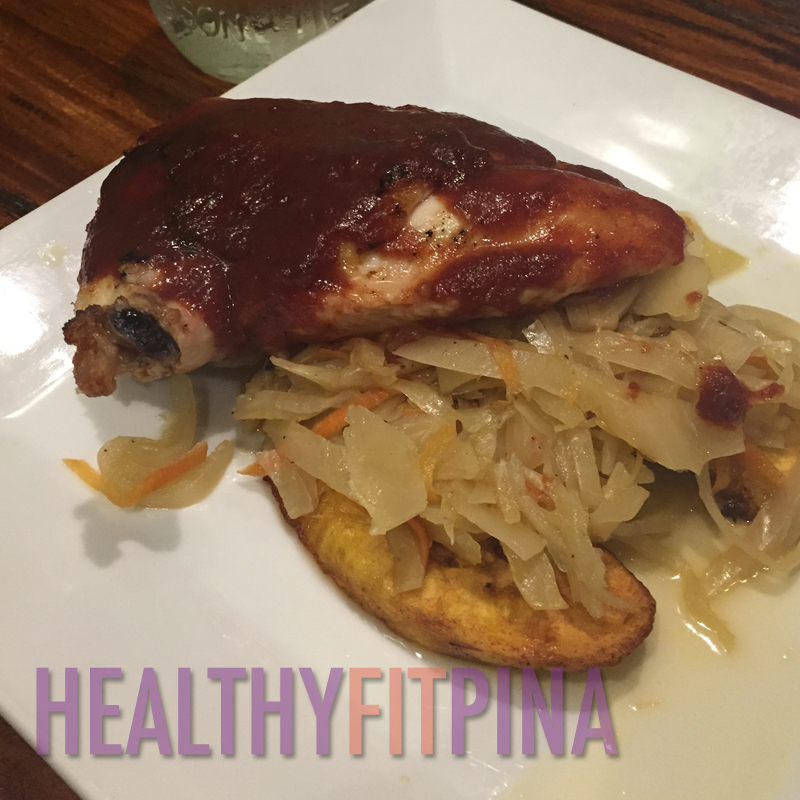 Both my friend and I ordered a BBQ chicken dish w/ a side of cabbage and sweet plantains. The chicken was juicy and we both loved the sauce. I don’t need to be too descriptive as a professional food critic, but all I can say is if you’re ever in Montclair and want something that is healthy and delicious, definitely check out Vital!